Kapil Sharma, who is all set to marry Ginni Chatrath on December 12, told The Times Of India how their love story unfolded over the years. The comedian told TOI that he met Ginni while conducting auditions in her college. "She studied in HMV College (Jalandhar). I was a scholarship holder, as I was a national winner in theatre. I was a student of APJ College and in order to make some pocket money, I started directing plays. I went to audition students at her college and that's how we met in 2005," Kapil Sharma said. The comedian had officially introduced Ginni as his girlfriend on social media last year and their wedding date was confirmed some days ago. Of their first meeting, he added, "She was 19 then and I was 24. I was tired of taking auditions and explaining the role to the girls. Ginni was so good that I was quite impressed with her and told her to audition the girls for me. As we started the rehearsals, she started bringing food for me. Back then, I thought that she was doing it out of respect." Ginni told TOI that she had already started liking him by that time and would cook and bring food for Kapil every day while Kapil added that his friend told him that Ginni likes him but he did not take his friend seriously. "One day, I directly asked Ginni, 'Tu mujhe like toh nahi karti?' and she denied. Later, at a youth festival, I introduced her to my mother as one of my students. Then I came to Mumbai for the Laughter Challenge audition and by then, I had also appeared on a Punjabi TV channel. Ginni was impressed with me because I was studying and working at such a young age," Kapil said. Kapil Sharma, 37, gained popularity after featuring in the comedy show The Great Indian Laughter Challenge 3 but his breakthrough show was Comedy Nights With Kapil, which he produced under his K9 productions. At first, Ginni's father rejected Kapil's proposal to marry his daughter. However, on December 24, 2016, when Kapil called up Ginni and said he wanted to marry her, everything went in his favour. "Kapil is a gem of a person and very caring. There is no one like him and I can't find anyone better than him. He is a family man. If he loves his mother and sister so much, it's certain that he would love his partner, too. He is a star for the audience, not for me. He is still humble the way he was years ago and hasn't changed at all," Ginni told TOI. 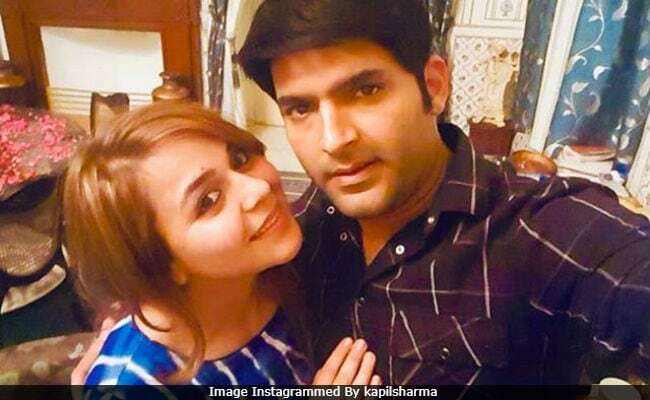 Kapil Sharma and Ginni Chatrath's pre-wedding festivities begin with a jagran on December 10 and later they will have mehendi and chooda ceremonies, followed by a cocktail party. The wedding will take place in Jalandhar on December 12 while a reception is planned for December 22. The couple also revealed to TOI that they won't be going on a honeymoon as Kapil will start shooting for his new show soon after the wedding. Kapil Sharma is returning to small screen with a new show, which reportedly stars Kiku Sharda, Sumona Chakravarti, Chandan Prabhakar and Bharti Singh also. The format will be similar to Comedy Nights With Kapil.